Nonetheless – here’s the summary of my trip, which I tried to do the initial draft on during the trip, including as many links as I could find to sites, places I stayed, and details that I don’t want to forget. This post will be my own resource for my next trip, too! First…the video with the photos – I’m sorry for the length, but it’s so hard to pare down that many photos! I hope the music and change in pace helps to make it palatable; if you only want to see one section, you can click an annotation to fast forward from the beginning. Enjoy it below, or click HERE to watch in HD on YouTube! Call your bank/credit card company ahead of time. Get a “chipped” card if you can – they can take your US card, but the “chipped” scans differently than our cards. (I just had to physically sign each time, so it’s faster to use the special card). ALSO ask them if they have a banking relationship with banks in the country you’re going to – if so they may waive fees on currency. Speaking of selfies. I want to start a BAN THE SELFIE STICK campaign! As I went through my photos, I was astounded at how many were ruined by selfie sticks – these horrible extended sticks that you put your phone into so you can get a wider selfie. While that might be helpful in taking selfies, people were going so crazy with them, they looked like pop-up glowing blue gophers. Incredibly distracting. I saw an awful lot of people standing in front of amazing paintings and sculptures, but their phone was facing toward them trying to find an attractive angle for their narcissistic snaps. And they missed out on what they had travelled to see! Sorry if this sounds harsh, but it ruined a lot of things for me – especially the Mona Lisa. The scene in front of that painting is sheer chaos and you can’t even see the painting because of all those sticks. Rant over…until I figure out how to start that campaign! On to the European Adventures…city by city! My first stop was 6 days in London spent with my two sisters – one of whom graduated with her PhD! This leg of the trip was more touristy and less artsy than the rest. I also spent a lot of time learning photography – my sister’s boyfriend also wanted to learn the manual settings on his camera (same model as mine) so we spent a day together just practicing. WELL worth the effort, since museums don’t allow flash – learning the manual mode meant I got great shots throughout my trip that would otherwise have been black images due to low lighting. YAY for learning! Accomodations: Premier Inn, Wandsworth. Reasonable price, and it was near to my sister’s apartment. One bus ride from the train station (overground), so it was convenient. They do have a chain of locations there, and I’d say it’s worth consideration. They didn’t have an in-room phone or alarm clock, but neither of those was critical. Attractions visited: Big Ben and Westminster Abbey (walked near these, didn’t go in), South Bank (shopping, market, Globe Theatre, other misc attractions with a view across to St Paul‘s), Trafalgar Square with the big blue chicken statue, British Museum (where parts of Night at the Museum 3 was filmed), Buckingham Palace, aka Buck House (if you want to actually SEE the changing of the guard, check the times carefully, it’s only like every 48 hours; then stand on the side nearest the straight fence closest to B-Palace. You can’t see a thing from the circle I stood on except them parading in! My best pics were from chasing the parade over to the Guard House where they “ended” the changing. Then they all got on Greyhound Buses…no idea if they kept their hats on when on the bus!) Also saw The Phantom of the Opera at Her Majesty’s Theater, dinner in Chinatown, tea at Harrod’s (long story coming someday about my tea fails! ha!). Food: I’m no foodie – but I did discover that in some parts of town it’s nearly impossible to find even a café. My fave meal was, I think, at the Clarence Pub near Trafalgar Square. Had a delicious Sunday Roast — some people seem to still call it tea, even when I had a beer with it, but whatever, right? They seem to call everything “tea” except for breakfast, which is just called breakfast. Tea can refer to the drink, but also to several different mealtimes – morning tea, afternoon tea, high tea, was, I thought, the pinky-out kind, but apparently it can also refer to a working man’s supper. Confusing! Money: The UK uses pounds sterling, not Euros, I got a really good exchange rate at my bank in the US before I left. It felt like Monopoly money – lol – and took some getting used to that coins were inconsistent…ie you’d think maybe the smallest denominations would be worth least, but that wasn’t the case. I felt like a 5 year old counting out money to pay for things – so often opted to just pay with my card. Wifi: For the trip, I signed up for an international plan through my carrier; 100mb of data for $25, then could get another 100mb for another $25. So I was managing my data by only turning data on when I was in dire need and couldn’t find a café to get free wifi. Bonus, I found one wifi phone booth – way cool! Keep an eye out, they’re like the red phone booths but are black. But most restaurants had free wifi, so if you stand near them you can sometimes get in without a password. Getting around: Took trains, buses, and walked a ton. Get an Oyster Card that allows you to ride as much as you want during your stay – don’t forget to take the card back and get your 5pound deposit back! Watch out, some trains don’t run on certain days – I had to scramble when the train didn’t run on Sunday morning to get me to Westminster Abbey for church; I took a bus and totally missed the service, even though I got to shoot THIS bit of fun. Stand on the right on escalators so people can run past on the left. Seriously. Stay out of their way, they’ll run ya down! The Tube (subway) is chaos at rush hour and you can get crushed easily. Culture: I found Londoners to be friendly – it’s nice to be in a country where I speak the language. Well except for the slang that threw me! Scotland! I captured a cold in London that started really setting in while I took the train to Scotland. Boo hiss, right? But fortunately I was visiting a friend, who kindly let my not-quite-up-to-speed body set our pace. Accomodations: I was lucky enough to connect with my friend Debby and stayed with her – yay! Attractions visited: I wasn’t up to massive walking around (it was cold outside) so the first day we did the hop-on hop-off bus tour of Edinburgh. (I left my baggage at the train station while we went out.) I’m not big on tours, but learned a bit about the city – it’s a real mix of ancient buildings next to modern ones, and they do a lovely job of making newer buildings fit with the look of the city. Quite lovely! Day two, I neeeeeded to see a castle, so we went to Stirling Castle — fabulous visit there, even if it was also a chilly day! Plenty of educational moments inside, as they have docents, displays, etc. We also stopped at Dunblane Cathedral (Debby lives in that town), and that was my first real “big” cathedral experience of the trip. She hadn’t ever been in to have a real look around, other than going to the Cathedral for events, so it was a treat for her as well. Food: Each little café we went to was nice – though I might have been biased since I was cold and as long as I could warm up, I was thrilled with wherever we went! And thank you to Debby for not making me try haggis. LOL. Money: The UK uses pounds sterling, not Euros. Wifi: Same as England, seems to be wifi at cafés all over. Getting around: Debby met me in Edinburgh, having taken the train from her house, so we walked – it’s a steep city in some places, but walkable. Culture: not much experience with anyone outside of Debby and her family; it was a short visit but everyone we interacted with was very nice. And used “wee” quite a lot. I love a good Scottish accent! Accomodations: A friend recommended the Hotel Relais-Bosquet and I can’t thank her enough! It wasn’t cheap but was located in a great, safe neighborhood near a lot of things. 10 minutes from the Eiffel Tower, 20 minutes walk from the Louvre, 30 from Notre Dame. Nice! Great bakeries and cafés throughout the neighborhood, too. Staff at the hotel was super nice, room was terrific. Follow them on Facebook to get a deal that includes breakfast too….it’s a nearly-American-style breakfast with eggs, pancakes, and lots of goodies. Attractions visited: Day 1 was supposed to be dry, so I did the longer walking attractions that day — walked all along the Seine over to Notre Dame, where I was blessed to attend a mass in French, too! Woohoo. Please behave in Cathedrals anywhere you go; it amazed and saddened me that people had so little respect for those who were having a spiritual experience. Despite all the signs requesting silence, it was a bit of a drag to have all the selfies, shouting, giggles, etc going on all around. Next I went to Sainte Chapelle – incredible stained glass there as well! Even though I loved the glass work, I was disappointed it wasn’t a “working” church (they even call it a monument)…I much prefer seeing art and glass in churches that actually hold services. (Though Ste Chapelle also asked for silence, so they do know they were at least started as a house of God.) As I walked back toward my hotel I stopped in several churches/mini cathedrals along the way, and one really took my breath away – Ste Clotilde. Another working church, but the glass art was phenomenal, even better than the “big” cathedrals! Day 2: rain! Blech. Decided that was museum day, though hadn’t accounted for waiting in lines outside in the rain. I went to the Orsay first, since it closed at 5 that day (check carefully, each museum has one night with late hours)…I was actually really disappointed that I went there. The museum had some art I enjoyed, but I’m more interested in older works, and I knew those were across the street. Plus the Orsay does not allow ANY photography, flash or otherwise. So I bailed after a couple hours of giving it a try. By the time I got to the Louvre, the line was 3-1/2 hours long! So it was a long day in the rain. Fortunately I had an umbrella and lots of tissues and cough drops with me. And had dressed well – I was smart and had brought long undies! Once entering the Louvre, though, those hours waiting were so worthwhile! I got to meet all the old masters face to face….I’ll talk more about those experiences in upcoming posts as I process all I learned. I painted for a few hours at the end of my visit, over in the sculpture area – several groups of artists were there, one was a class that invited me to join them. The other was a random collection of artists, a few of whom were American painters; I introduced them to the wonders of the Koi watercolor set I was using, and they were heading to Amazon when they got home! One of the oil painters was amazed at the simple water brush – he had only brought paper and pencil to sketch since he didn’t know he could paint without a container of water! We all had a good laugh when I leaned my sketchbook against a wall and photographed my moment: my art displayed in the Louvre. LOL! Food: I was so busy running from one attraction to the other that I did very little for meals! ack. Quick panini sandwiches or a bowl of soup were about as much as I did. I was grateful for the hotel breakfast as that was my one sit-down meal each day. Wifi: Easy to find at cafés but many had password requirements. But after this much travel, I started finding some companies that hosted wifi in various places, so once I opened accounts at them, access became easier. Getting around: I did all my Paris commuting on foot. The train was close to my hotel, but I really wanted to “feel” Paris…and with such short walks to places, I just hoofed it. Got lots of great pics along the way. Probably might have fit in more attractions if I had taken public transport, but I just felt like seeing as much from the ground as I could. Culture: I didn’t find what I had been warned about – that the French didn’t like Americans. I was mostly non-existent, I think, as one person, and for so short a visit. It was amusing that a lot of Americans stopped me to ask for directions in their halting French, and were a mix of happy that I spoke English, but sad that I didn’t know where we were either. LOL. I was so glad that I chose to end my European Adventures in Rome…by far my favorite city of the trip! Not only was the food amazing – even just at the airport or a pizza stand – but the people couldn’t be nicer, and walking the streets of Rome is just the most romantic thing. People say Paris is the city of love, and I saw a lot of couples there – but in Paris they looked like honeymooners. Full relationships. In Rome? I saw TWO proposals, lots of men carrying bouquets of roses and bottles of wine, and lots of ooshy gooshy wooing everywhere. THAT is the city of love! Accomodations: I found Al Colonnato di San Pietro on Trip Advisor, and though I started out nervous due to the inexpensive cost, I was DELIGHTED. Wow. First, Rosa, who runs it, met me at the taxi on the street. We looked out over the city (St Peter’s was RIGHT there!) and she pointed out where all the main attractions were, where bus stops were, trains, etc. She told me where to get tickets at which tobacco shop, and which restaurant around the corner had the best food. Each morning we talked through what I wanted to see and she gave me maps with routes marked out. I asked her where the Caravaggios were, and she put x’s on each church I needed to visit! She knows her stuff! Staying at this bed and breakfast was like a b&b that comes with a tour guide. Rosa even walked me to the bus and talked to the driver for me one day – she was amazing! The gal who works for her, Maldi, is a lovely Filipino lady who I got along with famously too…she helped with translations, as well as making the most delicious breakfast! Nom nom! Food: Delicious and pretty affordable everywhere! Me oh my. A slice of pizza even takes on a whole new level of yum. I didn’t do a lot of big meals here either, due to the crazy schedule, but the last night I treated myself to a big dinner at La Vittoria around the corner of my hotel and it was perfection! Money: Italy uses Euros. Get the Roma Pass – it’s a 3 day pass that gets you into 2 museums (not Vatican) free, and onto public transit as much as you want. Then discounts on other attractions too. Carry lots of one-Euro coins in your pocket for turning on the lights in chapels across Rome – that’s how they pay for upkeep, by charging to turn lights on to paintings you want to see. Well worth a Euro! Wifi: Had no trouble finding it in Rome. yeah! Getting around: On foot worked here for all but my last day. St Peters was only a 5 minute walk, then to get to the area of town with the churches I visited it was about 20 minutes along the sweetest cobblestone streets. Atmosphere! They do have a nice small bus and train system, just don’t ask any bus drivers for directions, the ones I ran into were pretty helpless in anything involving English. 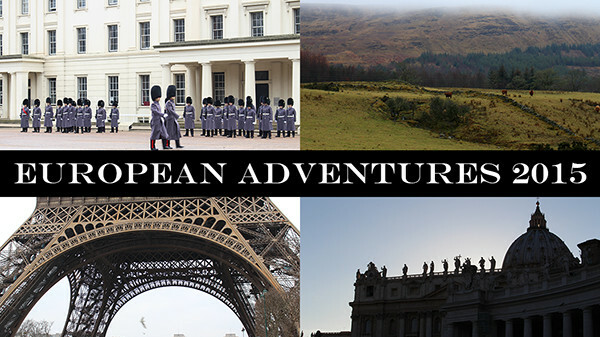 So…that’s the summary of my European Adventures! If you end up taking a trip, I hope I’ve shared at least a little helpful info for you! So pleased you had a great time. You deserve it. My husband and I lived in Paris for 4 months last year, for his work, and we loved it too. I had to smile as you described the scam with the ring. That happened to us too! When she said she’d just found the ring we offered to go and hand the ring in at the nearby museum, which quickly out pay to the scam!! So it isn’t just you. That was the one only time we were scammed in four months, so not too bad on balance. I’m loving the watercolour series by-the-way. Sandy, we are vacationing in many of the same areas you visited so THANK YOU for all the great tips. So looking forward to this trip! Sandy, your trip brought back many memories of the trips I had taken to Europe. I had many wonderful adventures. Your photographs were amazing. It was great to see so many shots taken in different light and from great angles. Like, you, I appreciated the beautiful artwork. You are right about the selfies. I guess I am old-fashioned about this and feel the world is bigger than what you can fit in a selfie. Fabulous! Thanks for sharing so much detail. Brought back memories of my trips to London, Scotland and Paris…makes me yearn for a visit to Rome! That looks awesome. Better too many pictures than not enough! Sandy, it sounds like an amazing adventure that you had! As someone in the travel industry, sharing your story makes those of us who want to know, have firsthand knowledge, so THANK YOU for taking the time to capture awesome photos ( I have no idea what I would do with 2700!! – I scrapbook, but, man that’s alot! LOL) and giving us feedback of your incredible journey, that some of us would love to do!!! Looking forward to seeeing more of your adventure!!! Great article!! I’ll have to link to that when I post my campaign. LOL! What an amazing trip, Sandy; you will treasure your time there forever. And you have the pics and dialogue to review it over and over. Thanks so much for sharing it with us. I’ve been to London and saw a few of the major tourist attractions. Your photography is wonderful and you brought a part of the world to many of us who will never be able to make the trip. Hugs. Loved your photos. I really enjoyed seeing parts of the world (that I will not be able to see myself) through your eyes. The stained glass windows and the architecture were beautiful. Thank you so much for sharing. I cant say enough how happy I am for you that you got to do this-and hope you will again! You do so much for people, it is only fair you should get to do things for yourself. 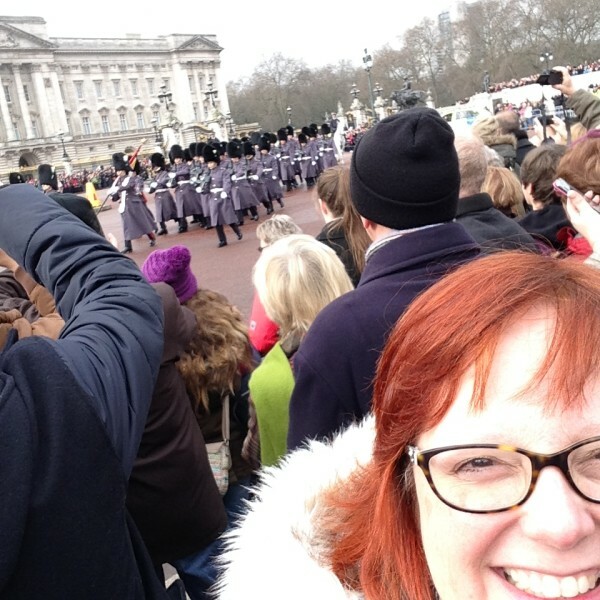 Thank you so much for sharing…I have never been-I dream of going-your pics are a chance of me to go vicariously. It is very different to look at personal pics over picture books. Much better! You have a great eye for pics and I always like your music choices. We always hope that travel will be a life experience that will color us forever….sometimes we get extra lucky and it is life altering…and this feels that way. I feel that way just looking at the pictures. I love stained glass and was almost knocked off my chair with what you showed us. The carving, the scales of buildings..I dont use the word majestic often for things other than vistas like the Grand Canyon but these buildings and plazas really are. I also love sculpture and again…just takes your breath away. I agree with you about the selfie sticks-and already it is in the media that many museums are banning them. Thank Goodness! People can be so incredibly insensitive about what they are doing. I live in NYC and how they behave at Ground Zero just infuriates me. They act like it is Disney. Alas-we always have that problem-you go somewhere b/c the guidebook says it is wonderful or someone does…and um, no, it isnt-at least not for us. I hope it didnt happen too much-you look like you packed so much in that was great. You must have been in motion dawn to dark! I look forward to what you post in future about this. Thank you so much for sharing. Looks like a lot of work. I enjoyed the slideshow! The architecture is so amazing! Thanks for sharing! You had an amazing adventure. The art work you saw must have been so inspiring. Looking at all those paintings you photographed brought tears to my eyes. They are so beautiful and are everything I would imagine them to be. I love your travel log of all you did and the information on lodging etc. You are very good at this. Thank you for sharing all your knowledge and beautiful photos. WOW!! What an amazing experience. Thank you for sharing this with us! So much art inspiration from today’s posting, I kept welling up with tears. I very much appreciate your images, and I am so glad to hear the reasons for travelling there which would be why I would go. You’ve done a lot–a lot of work after getting home. Thank you for sharing your trip. We had the pleasure of visiting London and Paris this past summer. Your adventures make me so jealous because I want to go back to bad!! We didn’t find Parisians horrible either and I was nervous about that. My husband took French in HS and it came back to him over the week we were there. It was amazing!! We found Paris a very walkable city and enjoyed it immensely. LOVE all your photos and am so jealous of Rome. That is my next big adventure!! Thank you for sharing!! Thank you, Sandy for sharing in such a moving way these wonders of the world! I am so happy for you to have enjoyed this magnificent trip! Very nicely done, I like how you matched the music to the cities. It hurt my heart when in Europe and seeing all of the churches not used for worship. They are so majestic. I also remember how new everything in the US looked when we got back. Your photos were a treat to see, Sandy. Thanks for sharing them. I know the sights from your trip will inspire you for some time to come. Gorgeous video..wow you have seen so much..I bet you are still with your feet up! AMAZING..love to see how this trip inspired you! You are so sweet to share your adventure. Thanks for letting us see the sites through your eyes. Although it’s unlikely I’d ever be able to make such a trip, I loved hearing about yours and taking a few minutes for a “what if” type dream. Your trip looks so wonderful. Those are all places on my bucket list and I hope to get to all of them someday. Your comment about selfie sticks made me laugh – pop-up glowing blue gophers…hahahahaha! Sandy, not only are you an artist, but also a gifted writer. Great travelog. Glad you had such a wonderful trip! Sandy: what a wonderful travel logue! Not only was it wonderful for you but you made it fabulous for all of us. I love the way you captured the essence of the countries thru your photos. And of course your always smiling face. I can hardly wait to see the art work that was inspired by your trip. Is there anything you can’t accomplish? You truly are a remarkable person and to think you have produced this fabulous presentation after arriving home a few days ago. Thank you for all the wonderful things you do and for being you! Thanks so much Sandy for letting us see and read about your travels. So glad you enjoyed yourself. And a big thank you for the memories of when I did all my travelings to many of the same places so many years ago. I can see times of changed. Welcome Home Kiddo! What amazing amazing photos you took! Absolutely beautiful.. what a trip down memory lane as well. I’m from the UK so love London( in small doses) Edinburgh was where I had my first job as an Assistant Personnel Manageress with British Home Stores, I lived and worked in Paris for 3 months and for the last 40 years I’ve lived in Italy just a couple of hours from Rome! I thoroughly agree with you about bad manners, lack of respect in places of worship ( tourist or not ) and selfish selfies nuff said. I can remember walking round a corner in the Louvre and coming face to face with a portrait of a man which was so exquisite I just stood in awe for ages. Art in books is one thing … seeing the real thing can, as you experienced, move you to tears. Loved the pictures of your trip through your artfully inspired eyes. Having spent some time in Europe for my job, I was able to relive memories and moments. Thank you so very much for sharing. Your comments and travel trips were right on. Your pictures brought back fond memories of my trip to England. We spent a day in London to miss the changing of the guard (off day) and had the absolutely worst outrageously priced meal I have ever had and made it to Harrod’s as they closed the doors. I think you had a much better time there. We also had car problems there. lots of memories though. I never made it to the other cities so your photos brought them to life for me. I am looking forward to seeing your inspired work.